I didn't know much about Conan before I saw it, except that it is based on the 1983 movie of the same name, starring Arnold Schwarzenegger, and takes place a long, long time ago. I also knew this version was rated "R" but I didn't know that it was going to be this bloody until after I viewed it. For the past few years, Conan (Jason Momoa, TV's "Game of Thrones," in his adult form) has tried to find the man responsible for his father's death and the total destruction of his village, and now he has finally found him (Stephen Lang, "Avatar"), and is seeking revenge. This man, Khalar, is seeking a pureblood (Rachel Nichols, TV's "Criminal Minds") woman to sacrifice so that he can rule and that his long-dead wife can return from the underworld and join him. Khalar and his army invade the monastery where she is living, but she manages to escape before he finds her, and she and Conan eventually meet up. When Khalar kidnaps her, Conan must save her and prevent Khalar from becoming "all powerful." The plot of this movie was interesting, and I might have liked it better had there not been so many gory and bloody scenes. There was literally maybe one scene of dialogue for every five or more fighting/bloody scenes. Jason Momoa is fine in this movie, but is mostly there for the "eye candy," in my opinion. Ron Perlman ("Season of the Witch") has a good but brief part as Conan's father, and Rose McGowan ("Wide Awake") steals the show as Khalar's creepy witch daughter, who is helping to bring her mother back into the world of the living. Maybe see this movie. If you're looking for a mindless action movie, then this will do for you, but be prepared for all of the bloody scenes; I am not generally a squeamish person, but there were a few scenes where I actually had to look away from the screen for a while. I feel like this film could have been better had it focused more on the plot and less on the bloodshed, but there are a few action scenes (less bloody ones) that are riveting to watch. 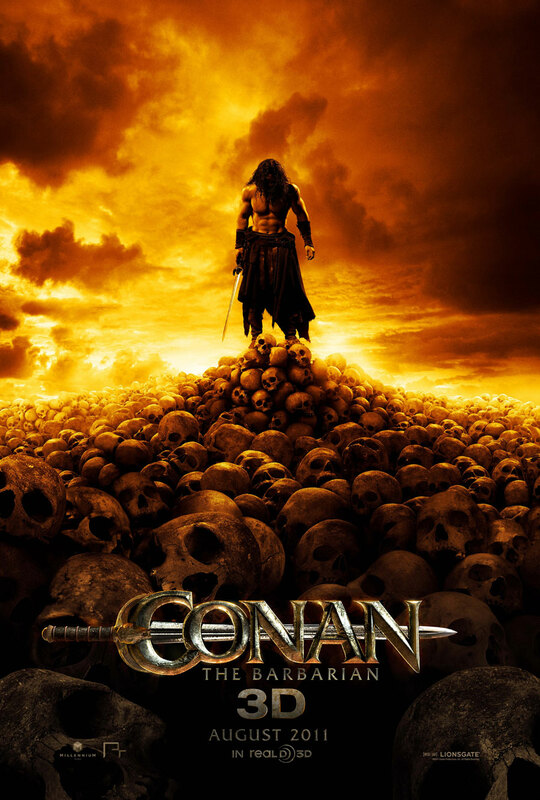 Conan the Barbarian is in theaters today, August 19th, and is rated R with a runtime of 112 minutes.